This five-piece hardware pack features double braced stands for extra stability. 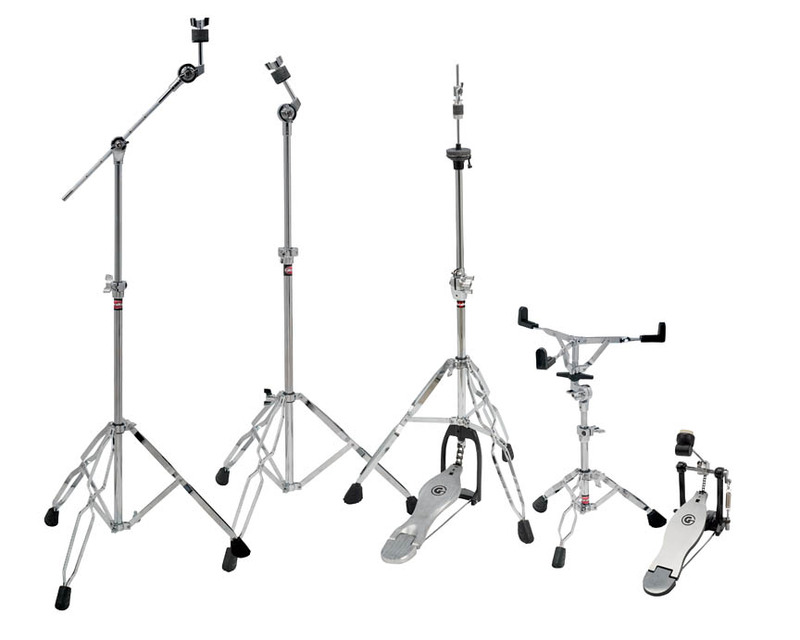 It has everything you need for gigging around town; including two Drum & Cymbal Stands; a hi-hat stand; snare stand and a single pedal. • (1) Single-chain drive single pedal. (1) Straight cymbal stand. (1) Boom cymbal stand. (1) Hi hat stand. (1) Snare stand.